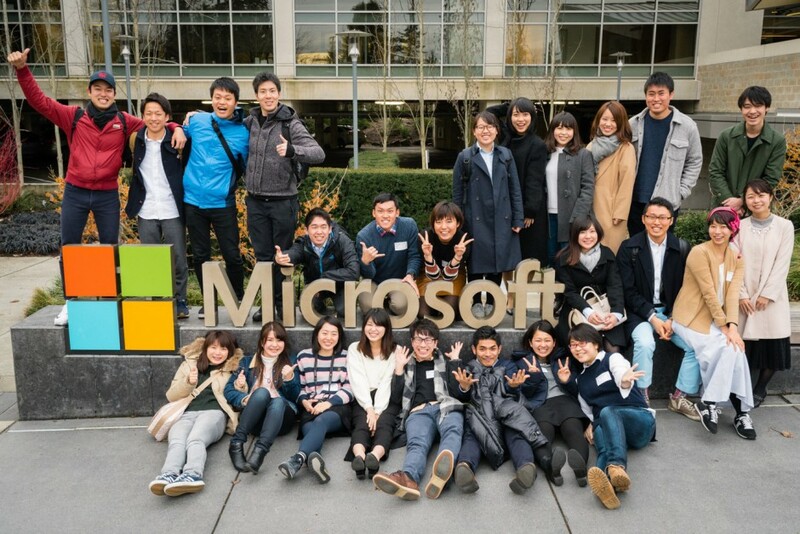 From February 20 – March 24, 2017, twenty-five TOMODACHI Microsoft iLEAP Social Innovation and Leadership Program participants visited Seattle, Washington to participate in a five week experiential leadership training program. 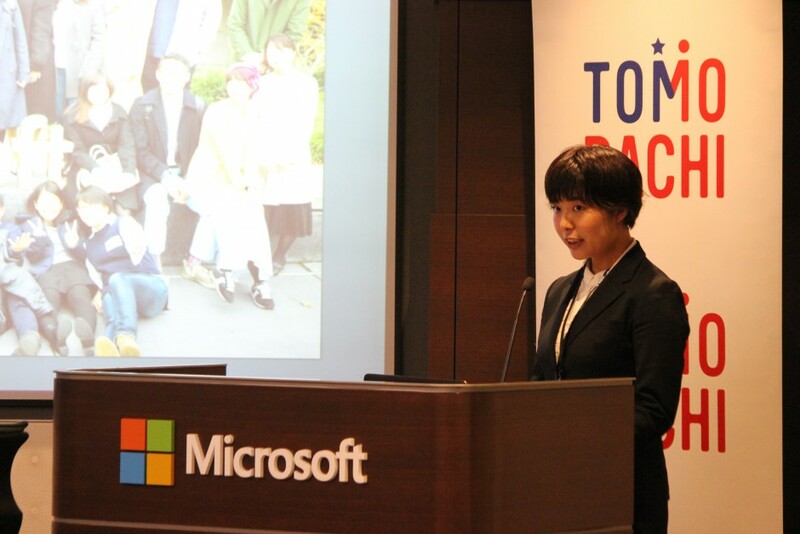 The TOMODACHI Microsoft iLEAP Social Innovation and Leadership Program is designed to cultivate a new generation of Japanese social entrepreneurs and community leaders between the ages of 18-25 who are prepared to make a positive impact throughout Japan. At the core of the program, the scholars work on a team project with prominent businesses and receive business mentoring from recognized Japanese American leaders in the Seattle community. The scholars also take classes on leadership and entrepreneurship, work with technology advisers to grow their ideas, and conduct site visits to businesses and organizations making a positive social impact. During the program, the participants had various opportunities to learn about philanthropy, leadership, and entrepreneurship. 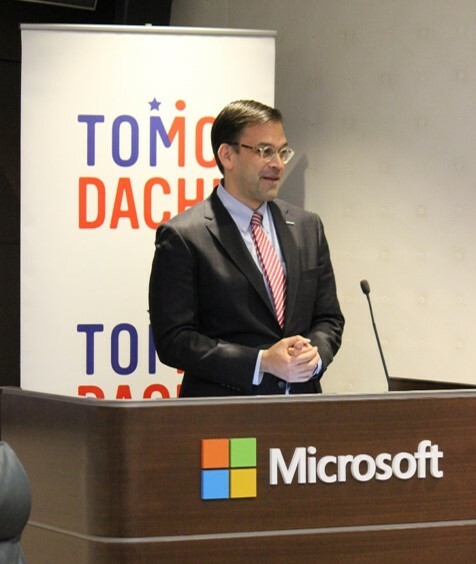 One of the highlights was a site visit to the headquarters of Microsoft, where the participants learned about Microsoft’s philanthropic vision and received advice on their group projects. 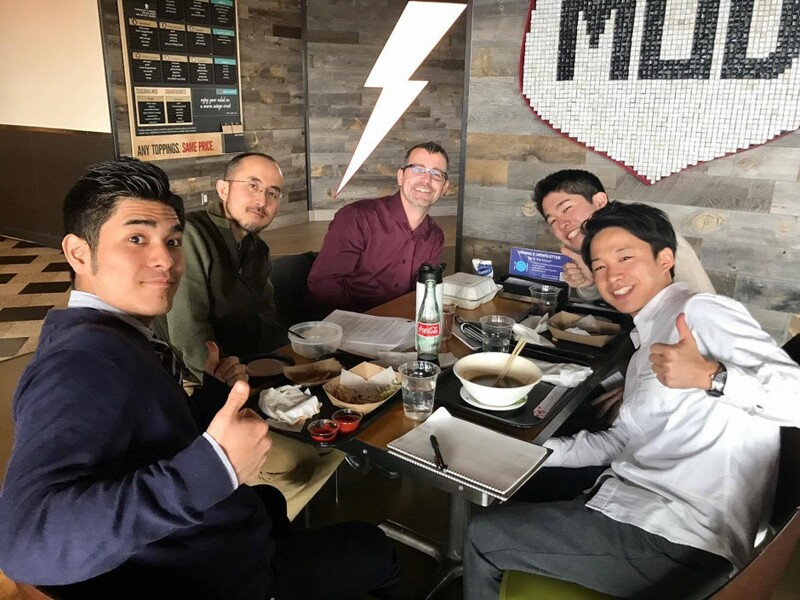 The participants also had lunch with Microsoft employees and learned what it is like to work for one of the largest corporations in the world. Another highlight was the multiple Leadership Lab sessions, in which the participants reflected on themselves and about the meaning of leadership. Through these sessions, the participants discovered their own leadership styles and their strengths. After returning to Japan, representatives from among the participants attended a debriefing session where they shared their experiences. Yuto Nishizuka from Waseda University structured his speech around the two words he focused on during the program: discovery and hope. Mr. Nishizuka talked about the diversity of his Leadership Lab group, along with how he was always supportive of his teammates, which he realized was his leadership style. He expressed hope that more people will also identify their own leadership styles, so that they can tackle social problems together and make the world a better place. Mr. Kan Suzuki, Special Advisor to the Minister of Education, Culture, Sports, Science and Technology, emphasized the importance of the program by telling the participants that “… this is a very important experience that changes [their] lives … and [the lives of their] generation.” Mr. Suzuki also touched upon the significance of the TOMODACHI Initiative, stating that the TOMODACHI Generation is very important for not only Japan, but also for the world.